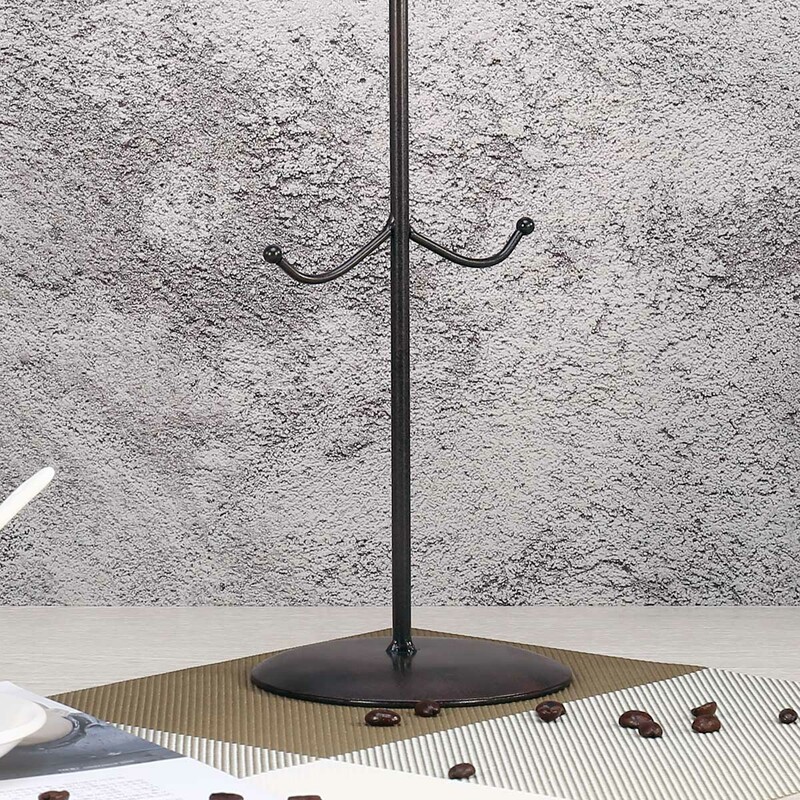 This mug holder is made of good quality iron with an antique finish touch. 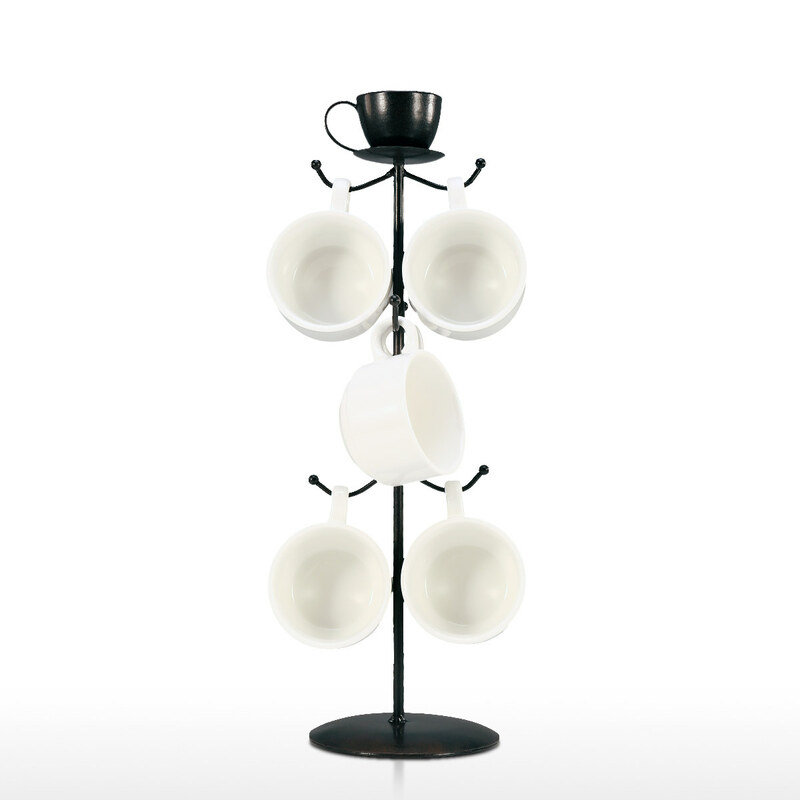 It can hold six coffee or tea mugs and glasses(not included). 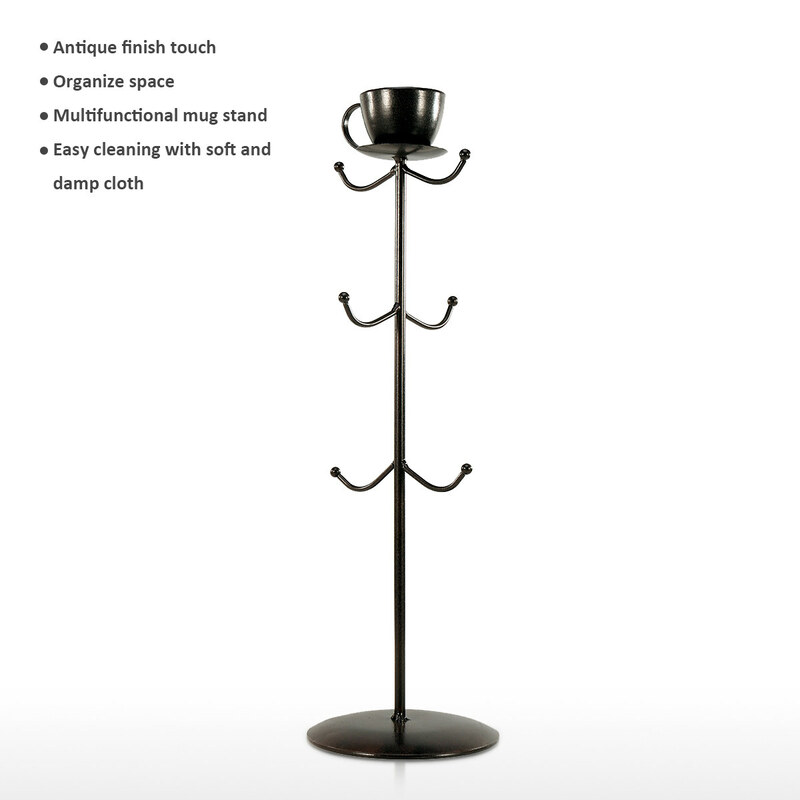 This mug stand will give you a place to store your coffee mugs that can free up the cupboard space. 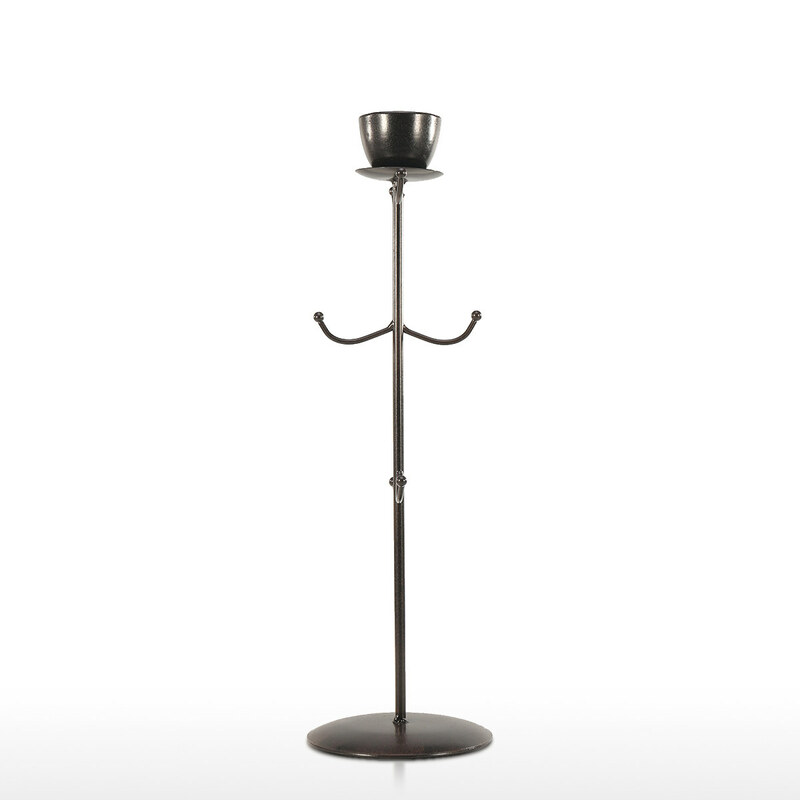 It can be used on your counter for display or in your cabinets for storage. It is also great for restaurants, offices and etc. 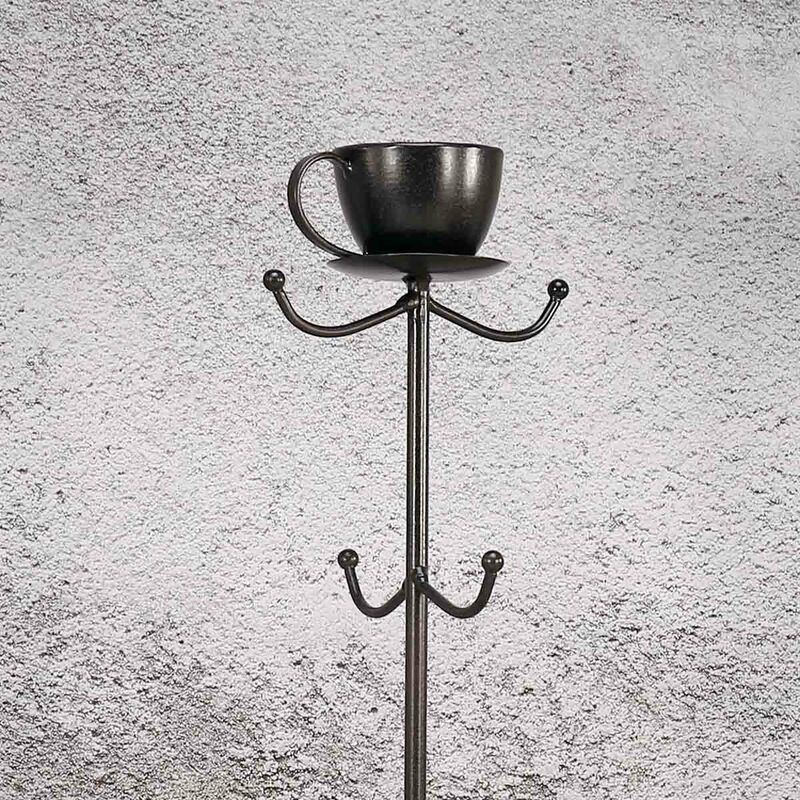 Good antique finish touch: This mug holder is made of good quality iron with an antique finish touch. 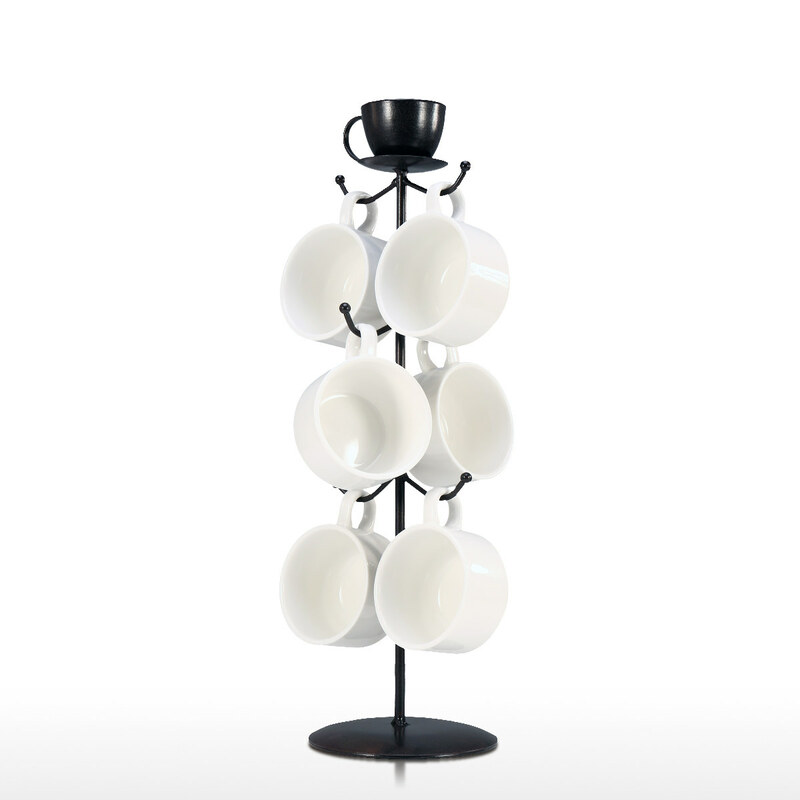 It can hold six coffee or tea mugs and glasses(not included). 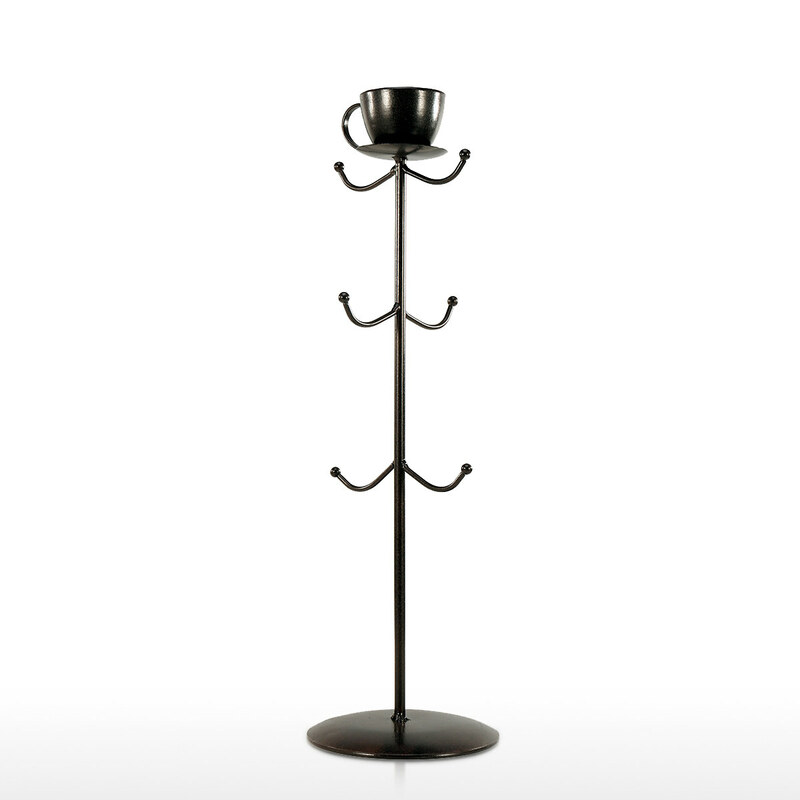 Organize your space: This mug stand will give you a place to store your coffee mugs that can free up the cupboard space. Suitable for these space: It can be used on your counter for display or in your cabinets for storage. 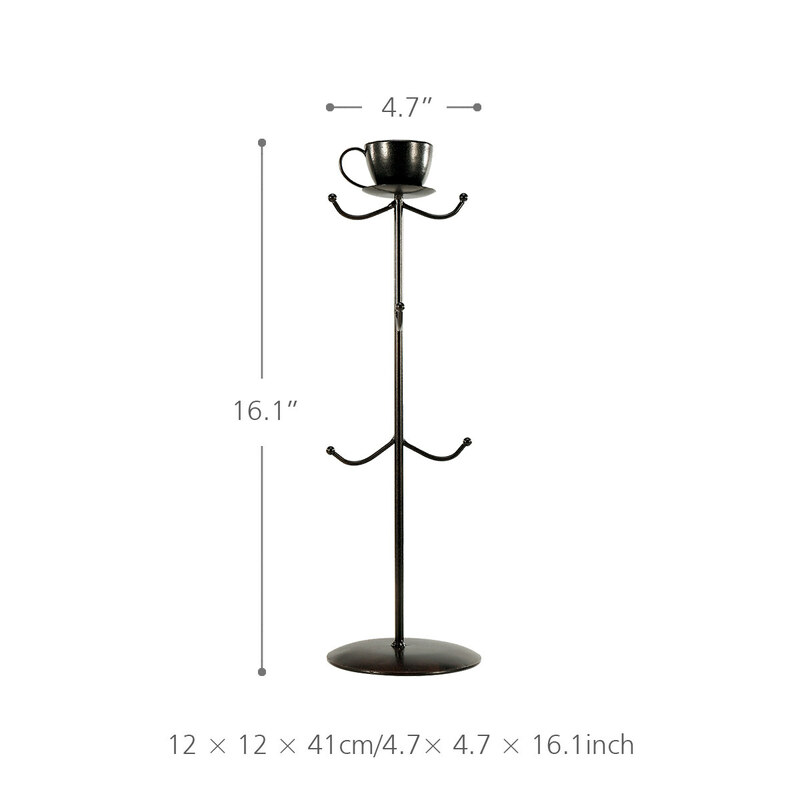 It is also great for restaurants, offices and etc. Keep cleaning: Wipe clean with a soft and damp cloth. 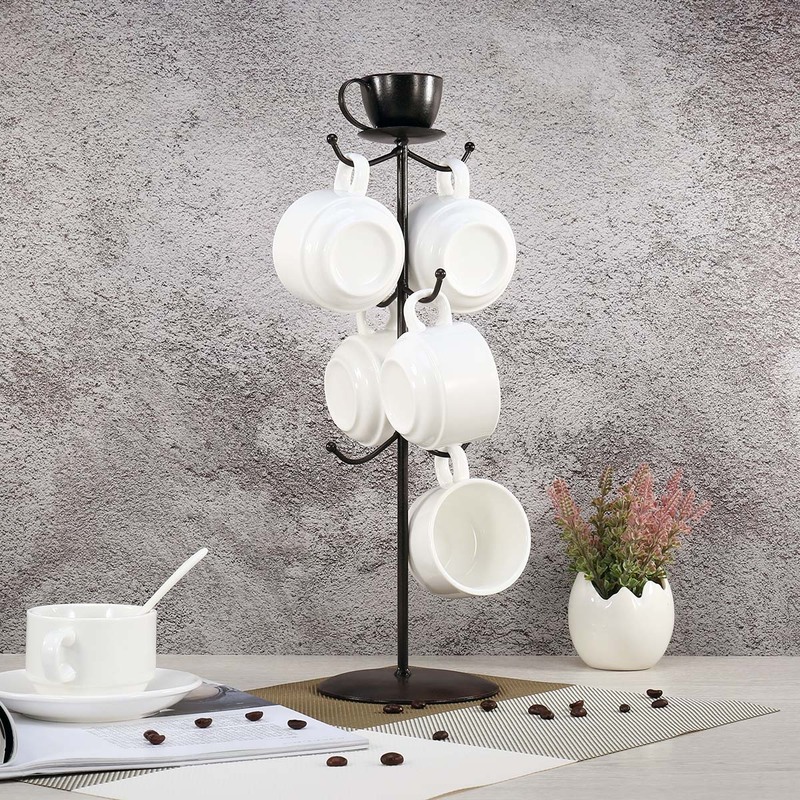 Perfect decoration: The color finish will give it a real decor attractive view to keep out on the counter year round while showing off your mug collection.